Lover of masks, myth, and magic. A fantasy novel in progress! - Sneak peeks of upcoming projects! - Wallpapers for your desktop, tablet, and phone. The more people Pledge, the more Rewards that unlock! My recent works. Check out my Patreon Secret Sketchbook for my latest WIP's. View the full image with its detailed critique here. I will use an image provided by the client to create a detailed critique in the form of a paint over meant to aid in improving the image with the concerns of the client in mind. A detailed image and descriptive text critique will be provided. - A .psd file featuring a layer with your paint over plus any layer masks, adjustment layers, etc. which were used in your critique. - A video detailing each element which was critiqued and suggestions for improvement plus links to resources which I believe might aid your future work. * Note: If you intend to include a paint over I have done in your paintings as a direct base, I request that you credit me in the description of your work. This is optional, but appreciated! 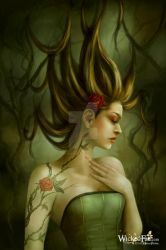 View the full example image plus its detailed critique here. I will use an image provided by the client to create a detailed critique in the form of a red lined image meant to aid in improving the work with the concerns of the client in mind. A detailed image and descriptive text critique will be provided. - A .psd file featuring a layer with your original image plus a redline with suggested corrections using corrective line drawing. - A video detailing each element which was critiqued and suggestions for improvement. * Note: If you intend to include a red line I have done in your paintings as a direct base, I request that you credit me in the description of your work. This is optional, but appreciated! Currently based out of Atlanta, Georgia, I'm an Army brat who grew up with a love for the strange and unusual. The work of fairy tale illustrator, Trina Schart Hyman, inspired me at a young age to pursue illustration. I draw inspiration from many sources, including surrealism and imaginative realism. Some of my favorite artists include Jason Chan, James Jean, and John Jude Palencar. 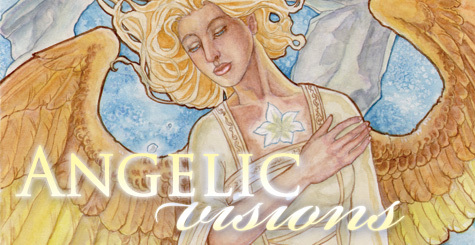 I also take much inspiration from the comic art and stories of David Mack, Joseph Michael Linsner, and Neil Gaiman. My past clients have included Disney, Impact Books, and self-published authors. New Facebook Group for Coloring Page Lovers! Life has been so hectic that it's been a long time since I posted a journal here! I've been hard at work getting my Ladies of the Months Coloring Book ready for publication, with the digital version recently released to Backers! To celebrate this momentous milestone, I've started a new group on Facebook where everyone can share their colored versions of my coloring pages! I hope we'll fill with beautiful colorations and make it a fun place to share coloring page releases and activities with you all! Nov 1, 2018 New Facebook Group for Coloring Page Lovers! May 23, 2018 1 WEEK Left on My Coloring Book Kickstarter! Jan 29, 2018 LotM Project Update #1: Outlining the Future! Nov 9, 2017 OCT 2017 - Kickstart Art, Inktober, etc. Apr 2, 2017 Camp NaNoWriMo Begins! Mar 13, 2017 Exalted Game Recaps + A Nerdy Update! Check out my debut art instruction book today! Inspired by the book? Share your work here! Thank you! I consider that a high compliment. Glad to hear people are recommending my art as well! Thanks for letting me know. 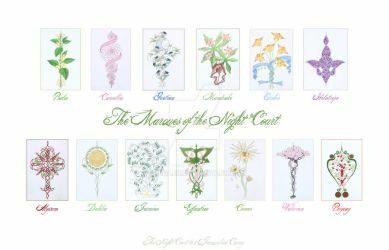 There's also a complete gallery for the Ladies of the Months Art Nouveau project at nouveauladies.angelicshades.co… as well if you'd like to give that a look. Enjoy! Thank you. I am most impressed you've stacked enough stamps to make an entire cookie!